Former Donegal All Ireland-winning boss Jim McGuinness has been appointed manager of the Charlotte Independence in the United Soccer League on a three-year contact. McGuinness' move to the second tier of American soccer completes a remarkable cross-over from gaelic football since he won the All Ireland with Donegal in 2012. After that success, he worked as a coach alongside Neil Lennon at Celtic before stepping down from Donegal in 2014 and moving to Glasgow on a permanent basis to manage the Under-20s. McGuinness then joined Chinese Super League side Beijing Guoan. Charlotte Independence will be McGuinness' first foray into professional management. "I am very excited about the prospect of taking up the head coach role at the Charlotte Independence and am both proud and grateful to the club for having put its faith in me," said McGuinness. "I knew from early on in our discussions that the club and I shared a vision for what we want to achieve and now it's about everybody involved working hard to make that happen. "I have learned a great deal already about the USL and firmly believe we can be really competitive in the USL Championship in 2019. It's an exciting time for the game in the United States which is growing all the time and I believe the Charlotte Independence will have a major influence in the years to come." 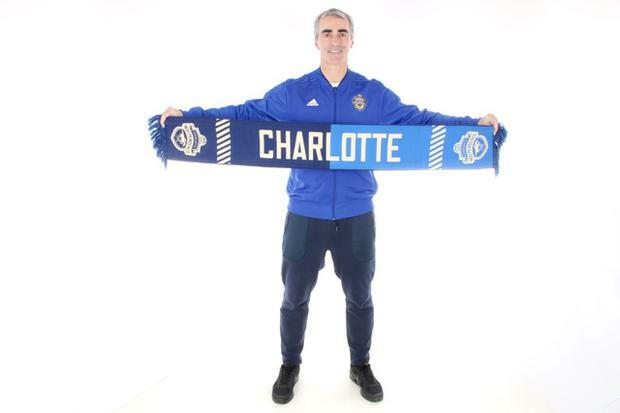 Welcoming Jim McGuinness to the Charlotte Independence, Club President Jim McPhilliamy said: "Jim has a proven track record as both a coach who gets the best out of players and also as a winner. "That is a very appealing combination and once we knew there was a possibility of bringing him to the Charlotte Independence we were very excited about the prospect and are delighted to have him on board. "With Jim as Head Coach and our experienced management team, we believe we are now ideally positioned to compete strongly in the USL Championship in 2019 and beyond." Eamon Zayed, who played with numerous League of Ireland clubs, left Charlotte Independence earlier this year for Chattanooga Red Wolves, who play in the same league. By Press Association Sport Staff Chelsea manager Maurizio Sarri has been fined £8,000 after accepting a misconduct charge, the Football Association has announced. By Press Association Sport staff Ralph Hasenhuttl always believed Southampton could battle their way towards Premier League safety, or he would never have taken on the challenge.